Protein-based bioplastics are materials obtained with renewable natural components that present huge benefits as their technological capacity in a wide range of purposes. Besides, pea protein isolate and glycerol seem to be an excellent combination to create new bioplastics due to their fantastic processability and hydrophilic character. This is achieved by a thermomechanical process of two stages: mixing and injection moulding. The goal of this work is to study the preparation of pea protein-based bioplastics by the evaluation of the influence of the processing stages on the properties of the final bioplastics obtained. 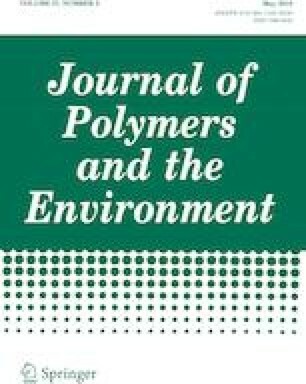 These bioplastics were studied evaluating different processing parameters (mixing speed and time) by assessing their influence on the protein-plasticizer blend with the analysis of the microstructure, as well as the rheological and mechanical behaviour. In addition, water uptake tests were also performed. The results showed that short and long mixing times and high mixing speeds (50 rpm) led to heterogeneity. While, intermediate mixing speeds (30 rpm) and short mixing times (1 and 10 min) were found to be suitable to obtain bioplastics with good mechanical properties. Pea protein isolate Mixing Injection moulding Bioplastics Mechanical properties. This work is part of a research project sponsored “Ministerio de Economía y Competitividad” (MINECO/FEDER, EU) from Spanish Government (Ref. CTQ2015-71164-P). The authors gratefully acknowledge their financial support. The authors also acknowledge the Microscopy Service (CITIUS-Universidad de Sevilla) for providing full access and assistance to the ZEISS LSM7 DUO Confocal microscope. The authors also acknowledge University of Seville and “Ministerio de Economía y Competitividad” for the pre-doctoral fellowships of Victor M. Pérez Puyana (VPPI-US) and M. Jiménez Rosado (Ref. FPU17/01718).